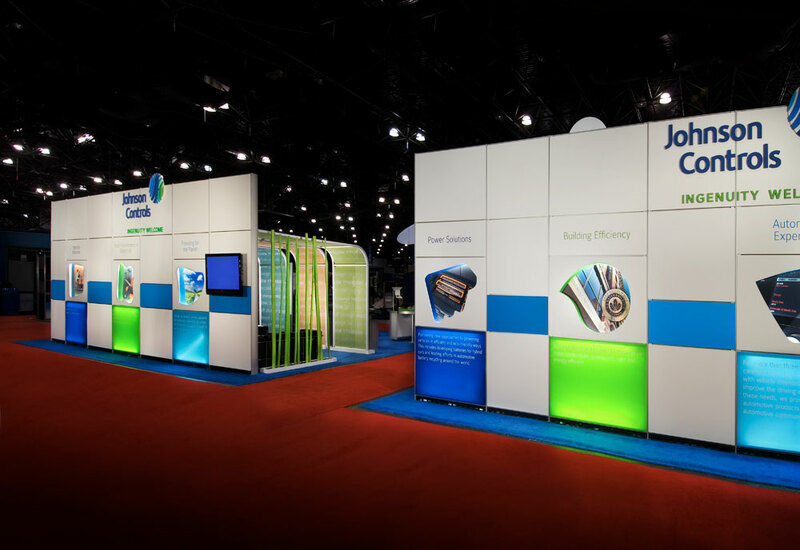 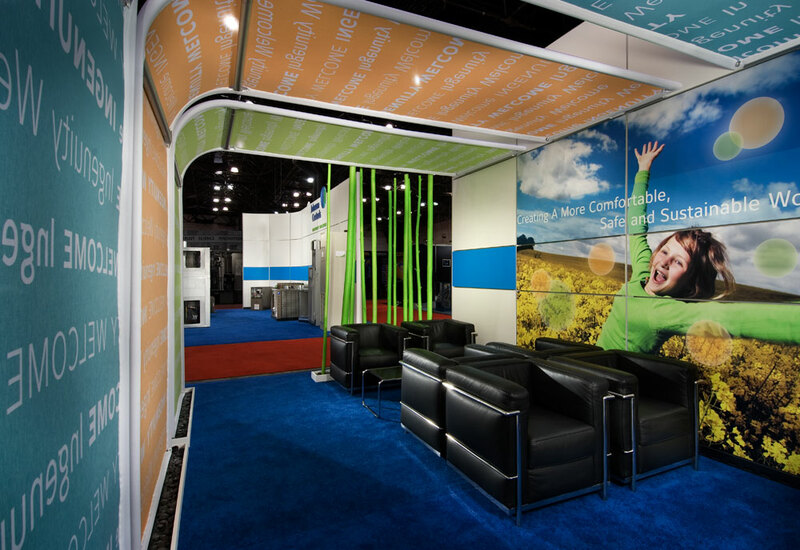 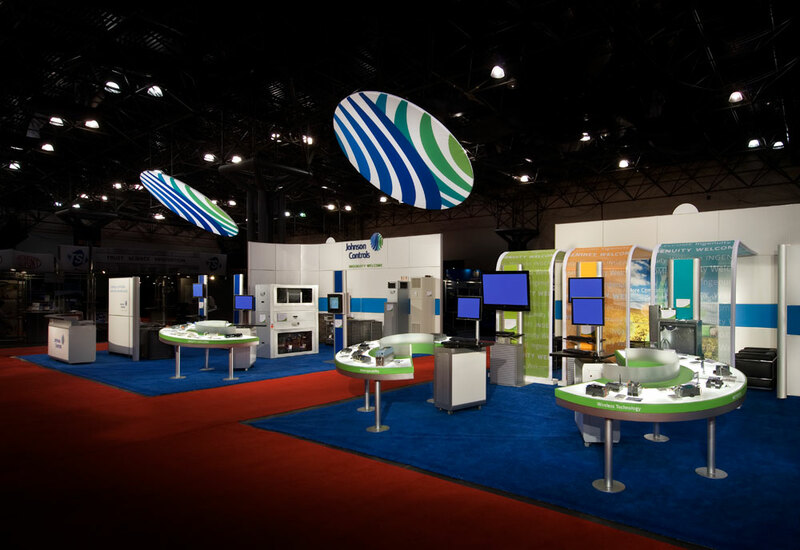 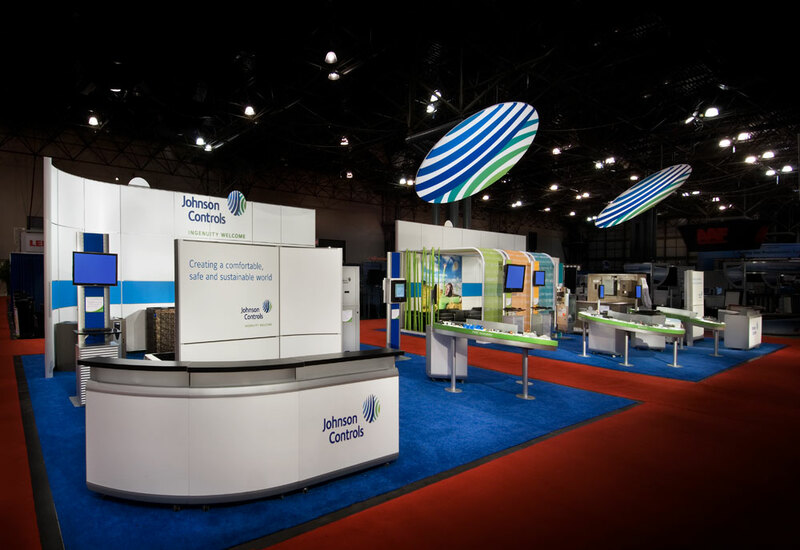 Environmental graphics for Johnson Controls’ trade show booth. 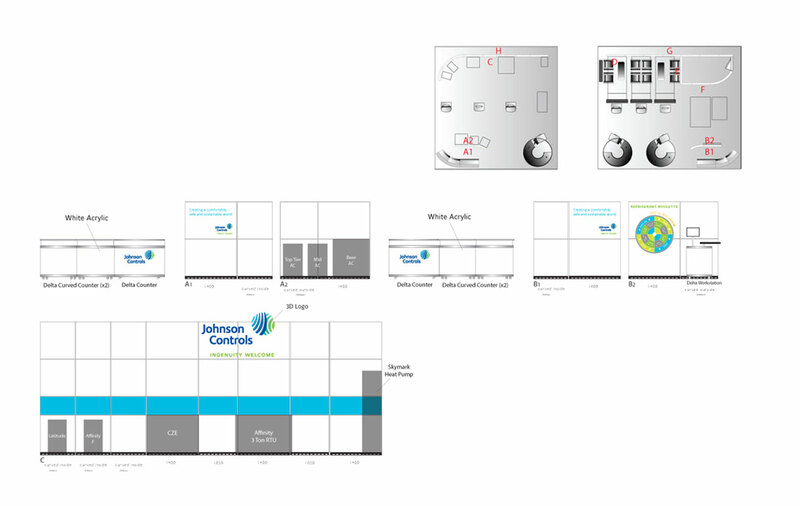 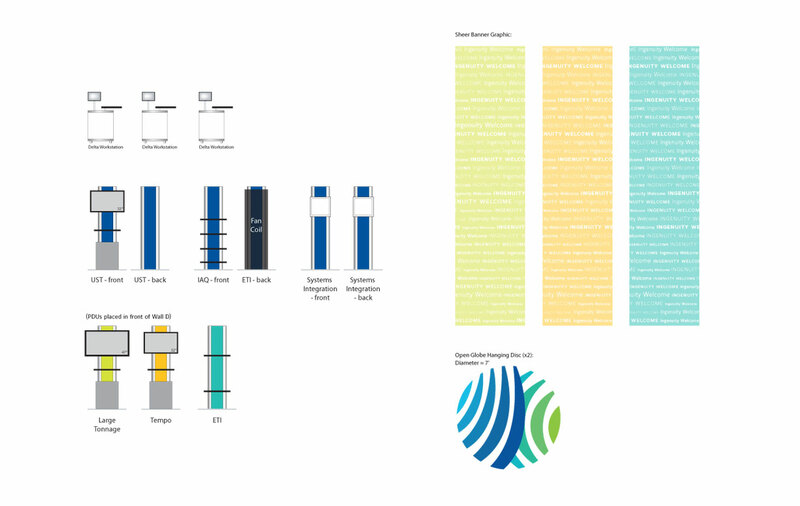 Create graphics to support the newly updated Johnson Controls branding. 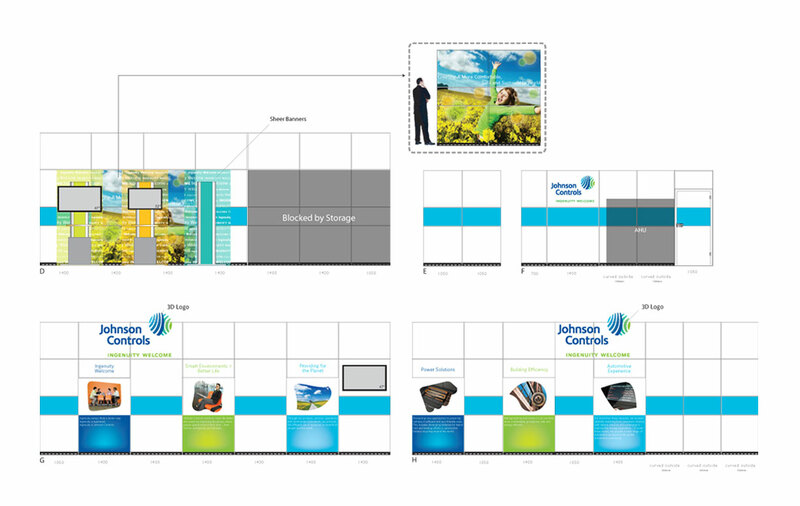 Used newly revamped brand elements and assets in effective ways to reinforce the updated brand identity.